If you look at my travel photos prior to 2008, there are no photos of doors – hard to believe from an artist that has painted so many! There are a few photos of church doors, but none of the rustic or charming doors of local homes. But, if you look at my travel photos from the South of France in 2008, a surprisingly large number of them are doors! It was like the Door Lover in me instantly awakened! Reviewing the photos, it seems my photo-mania begins in the town of Entrevaux. Door after door after door! I remember being asked by my travel friends why I wasn’t keeping up with them as they explored the town. “Taking pictures of doors!” I yelled from yards away, only to receive very quizzical looks. My colleagues were quite enthralled with the walled village, its drawbridge and the hilltop fortress, as was I. However I was very impressed with the beauty and artistry of the villagers’ doors. And in the other villages of Provence that followed on the trip, I searched out as many doors as I could. 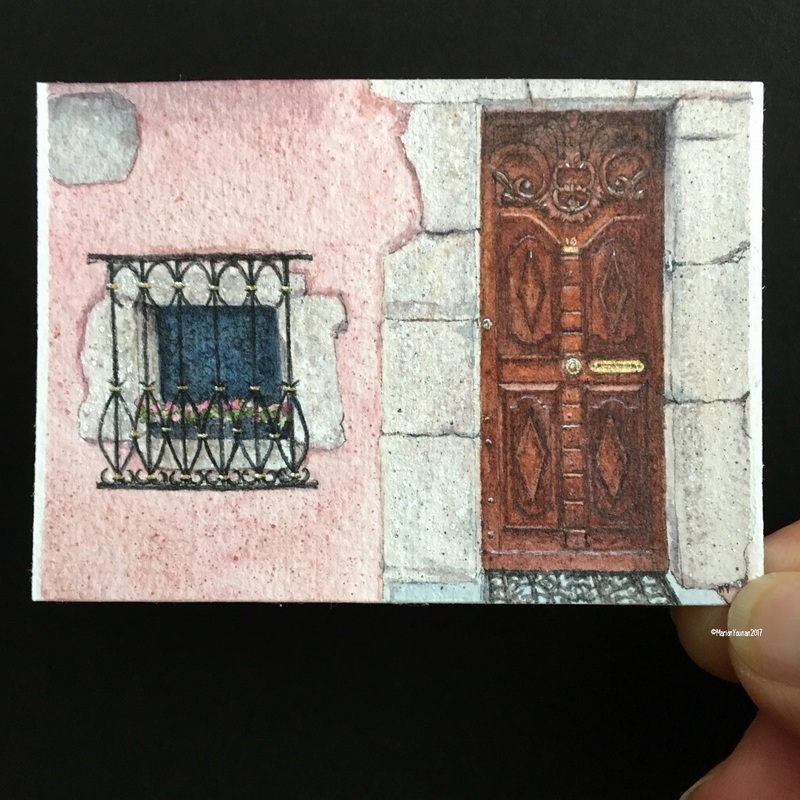 I haven’t been back to that particular part of Provence since I’ve started painting again, but I’m so grateful that for some unknown reason I took all those wonderful door photos that I’m now using to inspire my paintings! 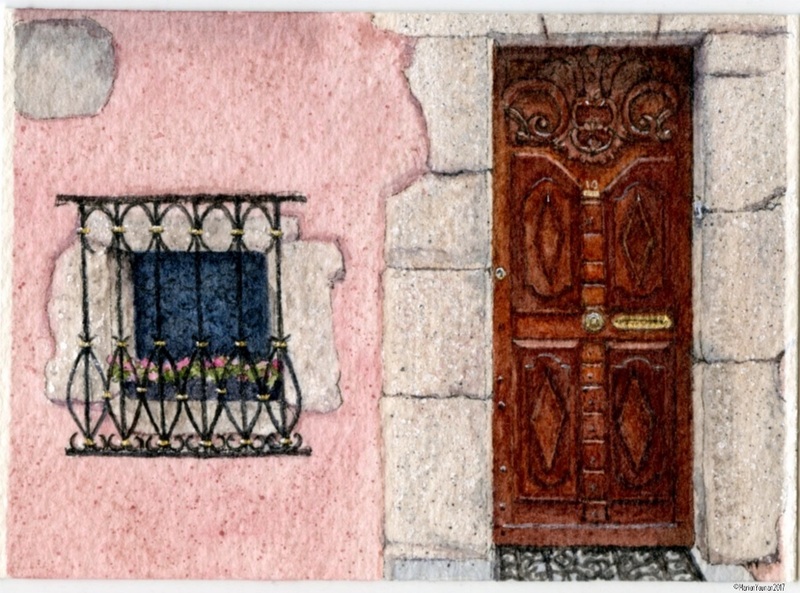 Merci, Entrevaux, for the gorgeous door that is the subject of Mini #98 – “Elegant Door in Provence”. I loved the beautiful craftsmanship of the door, and the ironwork on the tiny window that hung a bit off-centre on this very old building. It was yet another attempt to beautify something functional and probably forever needing ongoing maintenance.